Cinema is an art form, “the art form of the 20th century” those of us involved in studying and promoting it as an art form proudly declared. It began simultaneously as a fairground novelty and a scientific tool, but its artistic potential was very quickly grasped. Documentarist Dziga Vertov presented the actual reality of what was being done in the Soviet Union as more exciting than any invented drama – Man with a Movie Camera (1929). DW Griffith’s 1915 classic The Birth of a Nation proved conclusively that the dramatic arts had a new and powerfully expressive medium in which to operate. Its bigoted, racist version of the causes and effects of the American Civil War also showed what a powerful propaganda weapon cinema could be. The extraordinary ability of the “moving picture” to present fiction as though it were reality was early recognised by people involved in making films as a business. 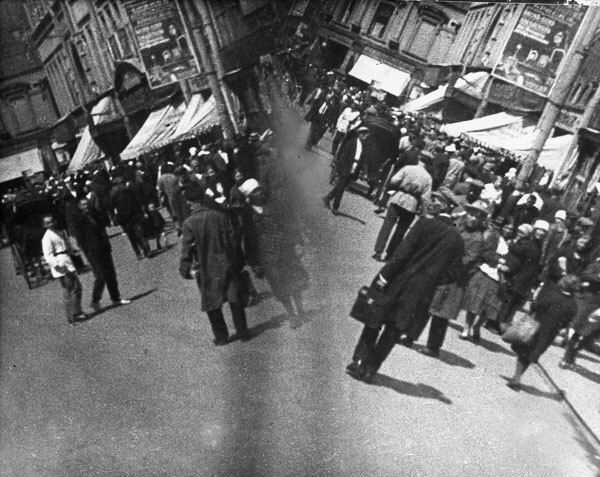 Others, such as British documentary filmmaker John Grierson, saw that cinema had a unique ability to present reality itself to a wide audience. His Drifters revealed the drama and the skill in the working lives of North Sea fishermen. The Communists in the Soviet Union, engaged in building a new society, immediately saw the potential of cinema to aid their colossal undertaking. “For us,” said Lenin, “cinema is the most important art.” Soviet filmmakers like Eisenstein, Pudovkin and Dovzhenko, sought to dramatise the whole Soviet political-historical experience to educate as well as entertain the people of the former Russian empire. Documentarist Dziga Vertov on the other hand presented the actual reality of what was being done in the Soviet Union as more exciting than any invented drama. In the capitalist world, however, cinema producers preferred cinema’s ability to evade reality, to take audiences into worlds of outright fantasy – like the truly marvellous Thief Of Bagdad with Douglas Fairbanks – or into a romanticised version of real life that could be amusing or grim, tragic or reassuring as desired. The film industry, especially in the USA, quickly became hugely profitable. They churned out a constant stream of movies for their numerous associated cinemas, big budget “A” movies for long runs to generate substantial profits, and low budget “B” movies to support them or to fill up the screens of the smaller, cheaper cinemas in poor neighbourhoods. As long as the product of a studio made money over the year, the studio could afford to let the filmmakers it employed take chances on original work, on previously untried themes or formats. Each studio had its own house style but whatever was successful for one studio was carefully studied by the others to see if they could or should do something similar. In the 1930s, for example, all the studios in Hollywood turned out screwball comedies, which were a welcome relief to people trying to cope with the dreadful effects of the Great Depression (a subject Hollywood only dealt with sporadically at best). Post WW2, however, this cosy filmmaking and exhibiting arrangement came to a disastrous end. In the US, the link between the studios and the cinema chains was severed by anti-trust legislation and at the same time television came to life. Studios no longer had a guaranteed revenue stream. Banks now provided funds for production only if they felt confident the intended film would return a profit on their investment. Film production in English-speaking countries like Australia or Britain had always struggled to compete with the high budgets and massive promotion of films from Hollywood. Film production in non-English speaking countries like France, Italy or Sweden fared better, with schemes in place in countries like Sweden for example that subsidised local production. But these national industries were always poor relations. In the USSR and Eastern Europe, until the overthrow of socialism under Gorbachev, film production was seen as an essential aspect of national culture and education. Budgets were not dependent on profits from ticket sales, but rather on the perceived worth of the project. This sometimes led to a tendency to put forward for production safe bets like adaptations of national literary classics or films on patriotic or topical issues of immediate concern to the government. In the West, however, filmmaking was strictly a business, and filmmakers had to spend as much time raising the money necessary to make the film as they spent actually making it. A writer or director with an idea for a new film had first to secure funds from a bank to produce it before production could commence. And banks are not run by filmmakers. They have to be convinced that the proposed film will make them a profit before they will commit to it. For this they rely on formulas by which they can assert with confidence that a sequel to a previous success will make a known percentage of the previous film’s profit. Similarly, a remake can be calculated to emulate the success of the original, depending on the box-office potential of the anticipated lead actors. An original idea, however, is strictly an unknown quantity, and banks are reluctant to take a chance on them, especially since film production has become so extremely expensive. The result has been a long succession of films that are either remakes of earlier films, seemingly endless sequels, or just plain imitations of other successful films. It’s not because originality has deserted the ranks of movie writers, directors or actors. It is because they have such a hard time raising the money to make an original film, one which isn’t a copy of someone else’s movie. If they want to make movies, it’s just easier to settle for remakes, sequels or copies. It took a while to get to this point in the history of cinema, but it is an inevitable consequence of capitalism in the field of art. Profit before all else.